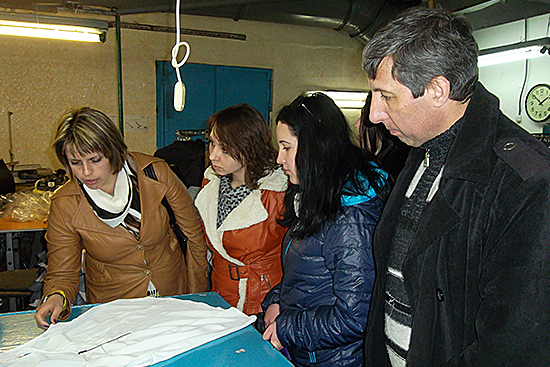 The teachers of the Department of Production Technology and Professional Education hold practical lesson for the students of specialty “Professional Education (Light Industry Products Technology)”. 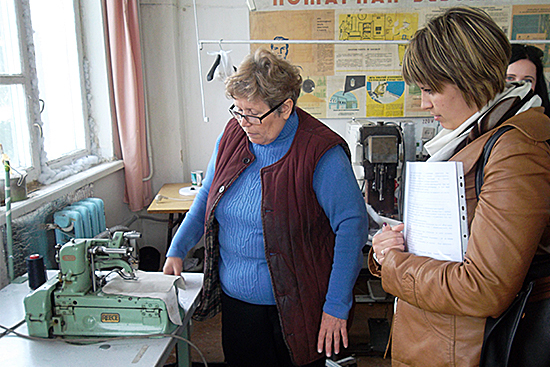 “Clothing industry is one of the large and promising branches of light industry of Ukraine, it is aimed to meet the increasing needs of people in clothes, – told the Docent of the Department V.V. Burdun. 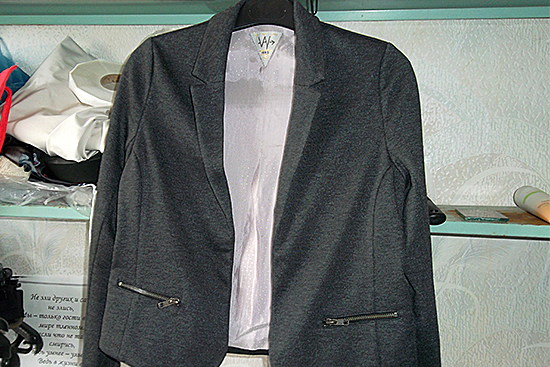 – The main tasks of the industry are the product expansion and clothes quality improvement, promotion of its competitiveness, productivity enhancement. This is possible, first of all, due to young highly skilled staff. That is why we need to involve our students to the industrial process during the education at the university”. 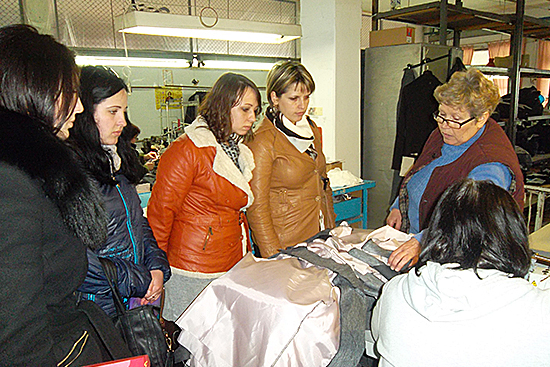 The lesson was held on April 23 at the premises of “Starobilsk Clothing Factory” LLC. It was aimed at the general introduction to the company industrial structure; learning organization of work of preparing and cutting production, work of sewing shops, experimental shop, process of designing new clothes models, departments of company management; learning labor safety at the industrial shops. Also, they considered the issue of industrial internship for the students at the clothing manufacturer that has experimental, preparing, cutting and sewing production. During the practical lesson the students learned company’s equipment and production and were demonstrated the operating process. 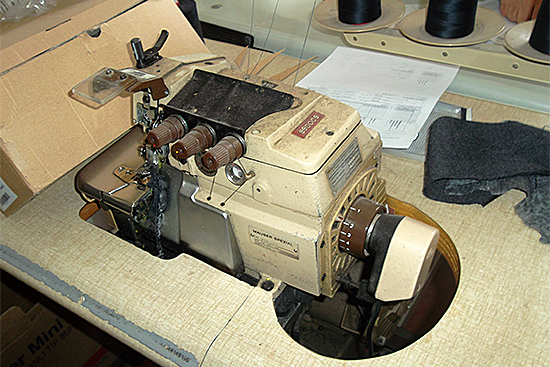 “Starobilsk Clothing Factory” LLC is specialized in sewing brand clothing for special order from foreign founders such as France. 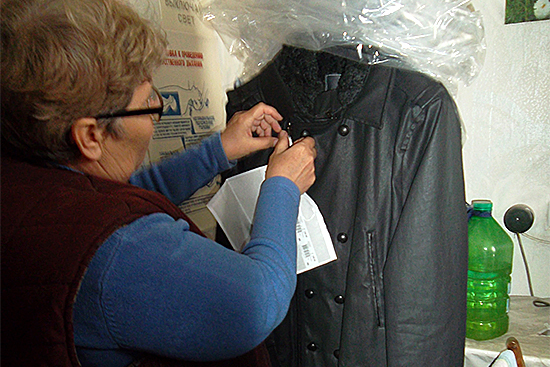 The factory has standing orders from the founders and sews different range of clothes (blouses, women’s and men’s pants, teenage coats and jackets). There is coat and suit range in the winter. 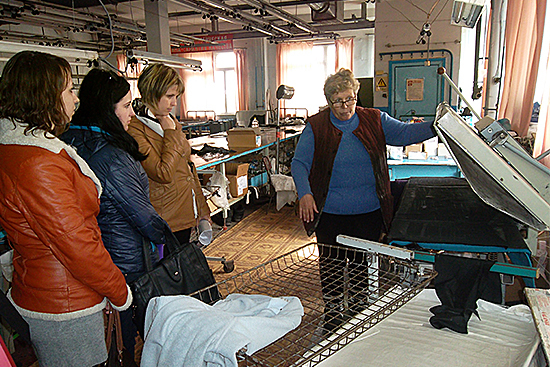 At the factory future specialists saw all details of the industrial process including the preparing fabric to cutting and packing complete products.